Golden rule: Generate interest in the subject and learn to love the subject and that love for subject will guide you towards your dream. Here I would like to write down something about London Olympics 2012. USA topped the medal tally followed by China and Great Britain. Usain Bolt won another Olympic sprint double to cement his position as the world’s fastest. Phelps reached the milestone of maximum medal by an individual in the Olympic history and undoubtedly become the most successful Olympian of all time. Brazil football team yet again failed to climb the gold medal podium losing to Mexico in the final. Andy Murray defeated the world number one Roger Federer in straight sets to claim the Olympic gold medal in tennis. The opening and closing ceremony was directed by Danny Boyle and the venue for next Olympics is Rio di genero, Brazil. I think, I can continue writing like this……….. The most important think you should remember, actually to scribble down these points, I hardly had any preparation specifically for that. All what I have written is from my memory. These are all information about a specific event. If I am appearing for a general exam, these points come under general knowledge and this will work. But If I am asked to write down the cause of economic crisis of the present world or about the political scenario of US before its presidential election, then I think, I may not be able to write down as fluently as London Olympics., Why? I could write many things about London Olympics as I am a person interested in sports. I used to read the sports page regularly. Likewise, I could not write much about politics or economics, as I am not interested in both. Here the most important point to ponder is “Create interest in the subject that is Learn to love the subject’’. The advantage is, your learning will be stress free. 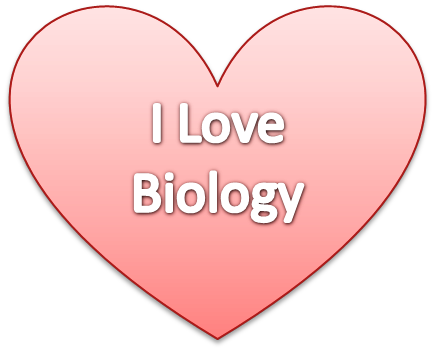 Remember, you are reading a biology book out of interest rather than the pressure of your exam. Then it will be more a passive process than an active process that will greatly increase the ability to understand or recollect. Why plants have cell wall? Why we don’t have cell wall? Do plants have digestive system like us? What makes plants, the sustainer of life on earth? You may think the above questions as very simple and silly. But let us check out, how our understanding improves upon answering good basic questions? We know plants possess cellulose cell wall but we don’t have cell wall. Which is advantageous having cell wall or not having cell wall? In life, everything is designed in the most perfect manner and whatever we see has a reason most often we may not comprehend. We can move plants can’t move. Why we move? We, animals move for food. Why plants can’t move? As plants can synthesize its own food, movement is not an essentiality, but sturdiness is the key for survival, coping with different environmental conditions by standing at a point is the key. They have cell wall which is hard, tough and very resistant. Why we have digestive system? We have digestive systems as we are dependent directly or indirectly for food from plants. But plants are synthesizing their own food in their kitchen and they don’t need a digestive system as they synthesize their own food in the ‘wonder organelle’ chloroplast. Remember, chloroplast is the organelle that is capable of converting suns energy to chemical energy. This organelle is responsible for the phenomenon life in this planet. Which is the first bio molecule, DNA, RNA, protein, carbohydrates or lipids? Why DNA is the genetic material than RNA? Is there a reverse process for evolution? We call 98% of our genome as “junk DNA”, What is it for? DNA in bacteria, blue whale, humans, ferns, fishes, all living organisms. Chemically same but what a diversity in manifestation, how? All life starts from single cell, how this much perfection in organization from a single cell after billions of division? Is it just by chance or……….. Remember what we know is a drop and unknown is an ocean. There is always a scope to get overwhelmed, amazed often and often as we stand at the shore of Biology, the science of life. My request is, get amazed and humbled, by diving into that ocean of biology that always creates a kind of curiosity which is essential for feeling the beautiful so called phenomenon “ life” in this world. Learn what you love and love what you learn and that is it….. Appreciate the beauty of life and Dive deep to understand the mysteries of life. Indeed, we are very lucky to be a student of biology “the science of life”.